Back-to-back 100-point seasons would put a smile on any GM’s face. But for Cam Russell, Nikolaj Ehlers was much more than just a numbers man. Members of the Quebec Major Junior Hockey League’s Halifax Mooseheads organization knew they were getting a good one when they drafted the kid from Denmark sixth overall in the 2013 Canadian Hockey League Import Draft. Just how good, no one was quite sure. But they got their answer almost immediately. After taking home QMJHL Rookie of the Year and Top Professional Prospect honours in his rookie campaign, Ehlers was drafted ninth overall by the Winnipeg Jets in 2014. But the left wing wasn’t quite done dazzling in the junior ranks. In his final campaign with the Mooseheads, in 2014-15, Ehlers scored 37 goals and recorded 101 points in 51 games. In 30 career playoff games with Halifax, he produced 21 goals and 59 points. “He’s a tremendous person and was a class act for us,” said Russell. “I was impressed with his maturity. With the Europeans, there can be that adjustment period, but right away, he just jumped in and it seemed like the North American game was for him. Despite his lofty offensive output, Ehlers wasn’t preoccupied with individual accomplishments. And there’s still a lot that catches Russell’s eye. 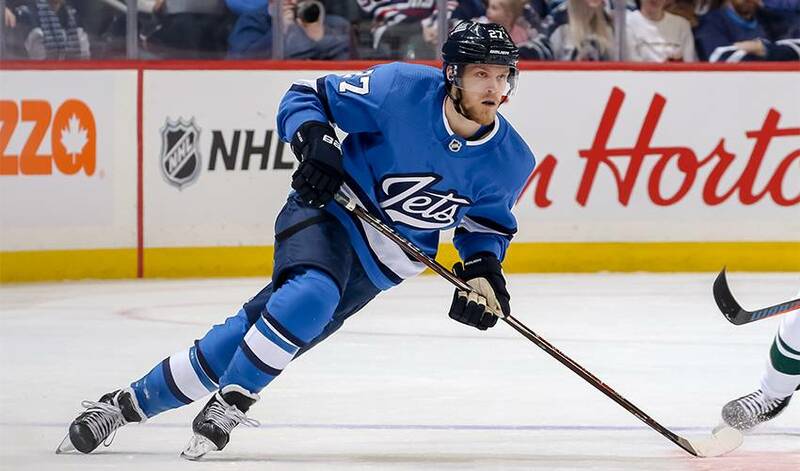 Less than 300 games into his NHL career, Ehlers, who boasts four career hat tricks (most recently, in a 5-3 win over San Jose scored December 20, 2018), has been a steady offensive contributor for the Jets. Last season, he lit the lamp an NHL career-best 29 times, including seven game-winning goals.